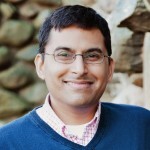 Rupayan Gupta is Associate Professor of Economics at Roger Williams University, RI. He completed his Ph.D. in Economics from the Iowa State University in 2004. Previously, his undergraduate studies were at St. Xavier’s College, Calcutta, and his M.A. is from the Delhi School of Economics. His areas of expertise are Public Economics, Political Economy, and the Economics of Conflict. His research includes designing international institutions for global security, analysis of conflict in disputed regions, and the study of global remittance patterns.